This summer, Winnetka has emerged as a destination for young musicians, artists, and fashion designers. On July 8 — less than a month after the successful Winnetka Music Festival drew large street crowds — the Winnetka Youth Organization (WYO) packed the house for what WYO staff members have called an “outstanding” collaborative, multimedia fashion show designed and produced by Victor Pearlman, a Wilmette resident and rising senior at New Trier High School. 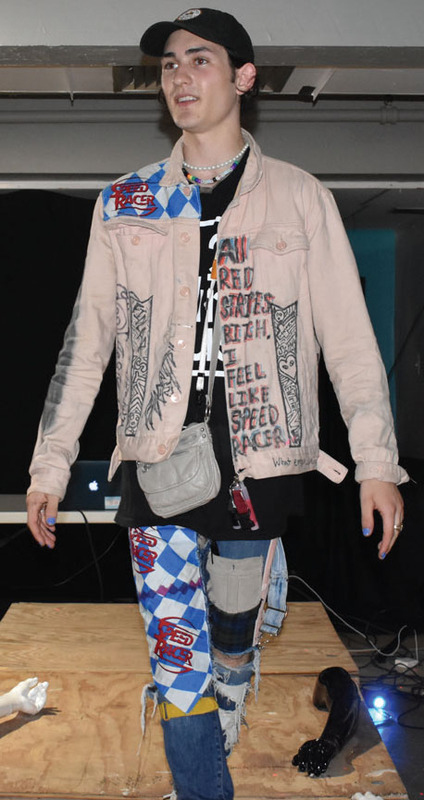 A record 80 teens gathered in the WYO’s Teen Drop-In Center, located on the lower level of the Winnetka Community House, to hear live music, interact with artists and see new designs from Pearlman’s original clothing brand, Stay Noided. Planning for the multimedia event began several months ago when teens at the WYO began talking about the popular multimedia shows Pearlman stages at venues in downtown Chicago, which draw crowds of more than 300 teens. Pearlman, who often has to rent the downtown venues he uses for his shows, says he was drawn to WYO’s nonprofit, community roots. Founded in 1969, WYO’s vision is to make all teens feel welcome and accepted for who they are and experience the freedom to pursue their interests and talents, in hopes that they lead lives of integrity and service. WYO prides itself on serving teens from diverse social groups by offering relatable programming that allows teens to build new connections. Gikas and her colleagues say they were impressed by Pearlman’s ability to network and connect with diverse groups of teens. Pearlman’s clothing collections are influenced by a specific social issue, and they aim to unite members of a community, regardless of their identity. Pearlman’s WYO runway show, “Organized Chaos”, focused on female empowerment, drawing inspiration from the current #metoo movement. 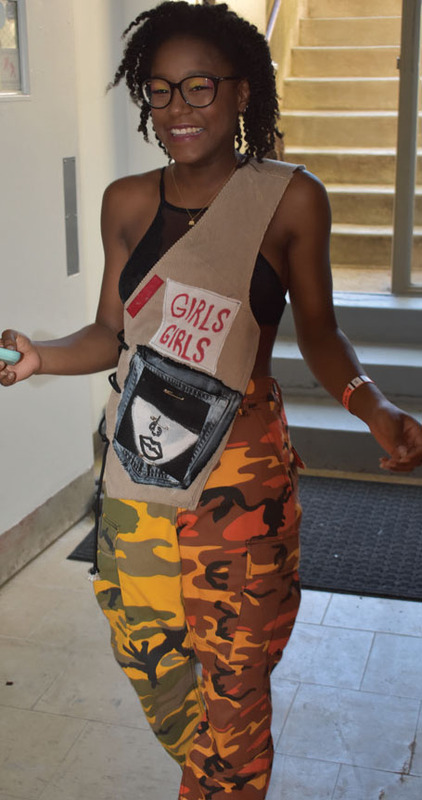 Female models from local high schools, as well as Pearlman’s own mother, walked the runway in Pearlman’s industrial, high-end streetwear, including branded white t-shirts and deconstructed suit jackets embellished with recycled textiles and patches. “Our female models were encouraged to share the moments of injustice they had experienced in their lives,” said Pearlman. Pearlman also invited local bands, including Kolla, Wrench, and Lower Lip Drip to perform original music at the show, while artists worked simultaneously on live art installations. “My goal with all my shows is to curate a collaborative workspace,” said Pearlman. Pearlman created his clothing brand, Stay Noided, as a testament to his freshman year of high school, a period of his life when he frequently felt alone, “paranoid” and bullied. Now entering his senior year of high school, Pearlman says he plans to stay local for college, and he hopes to attend The School of the Art Institute of Chicago after graduation.